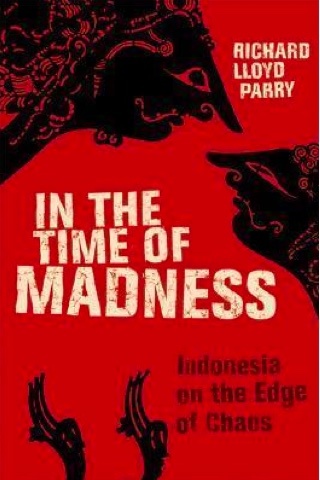 In the Time of Madness is arguably the most compelling book written about Indonesia in the late 20th century. British correspondent Richard Lloyd Parry brings the roiling turmoil of the era to life with his snappy but sensitive reportage. The action begins in Kalimantan in 1997, where he covers vicious fighting between the indigenous Dayaks and migrant Madurese (yes, decapitated heads feature) that erupted as Suharto's grip on power in Jakarta wavered. Thousands are estimated to have died in the bloodshed, triggered after years-long simmering tensions between the locals and those who were shifted by Suharto from their overpopulated island off East Java to West Kalimantan finally exploded. "Five of them had died together at this spot; the sixth one had died alone. Had she escaped, or fallen separately in an earlier encounter? They were killed by men, no doubt, who cut off their heads and ate their hearts, but they were not violated and nor was the mosque where their husbands had prayed. Now they were like their houses, ruined but undisturbed by the side of the road, ignored except by curious visitors, while the grass rose up through their ribs to hide their bones. Budi wanted to take a vertebra as a souvenir, but I made him put it back." The scene then shifts to Sumatra and Jakarta, as Indonesian leader Suharto definitively falls from power, having ruled the nation with an iron fist for 32 years. Then comes East Timor’s independence vote, which sees Indonesian militias unleash ferocious attacks there. This is a vividly rendered story of a tumultuous time across a sprawling country, but Lloyd Parry also engages in plenty of self-reflection as a journalist, too. He gets the balance between introspection and reportage just right — this is a page turner but you’ll learn an inordinate amount as well.